THREE months ago I wrote about our family dynamic changing as I ended my maternity leave early to start a new job and Stew took on the role as temporary stay-at-home dad on shared parental leave. It’s hard to believe that those three months are now coming to and end and it’s all change again tomorrow as he goes back to work. I’ve got mixed feelings about this change. On one hand, having Stew back in work will be a big help financially after three months on one pay cheque, but on the other it feels like the end of the first stage in our baby boy’s life. 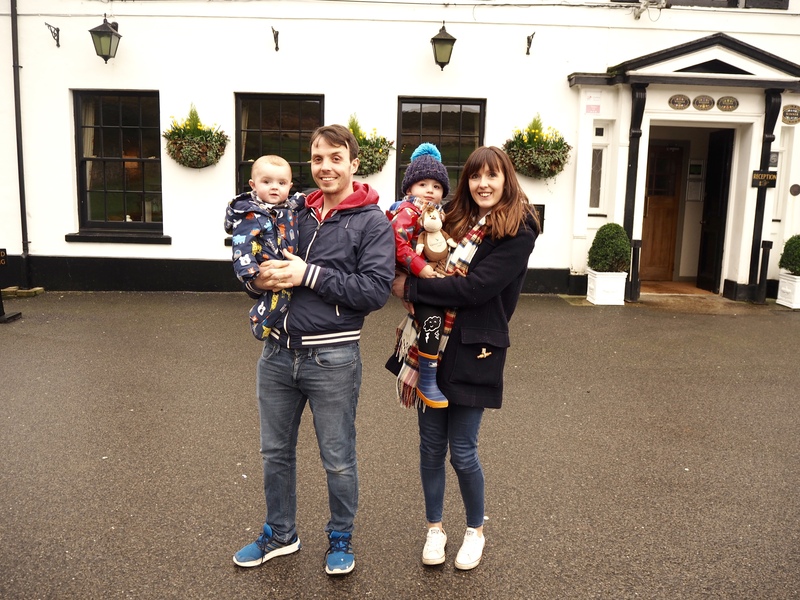 In case you missed it, my reasons for ending my maternity leave were based on being offered a new job with hours much more suited to family life, better pay, flexi time, and more importantly, a job I’d wanted for a few years. On my last day at my old job I told my boss I would definitely be coming back – unless this position came up … and lo and behold, it did! 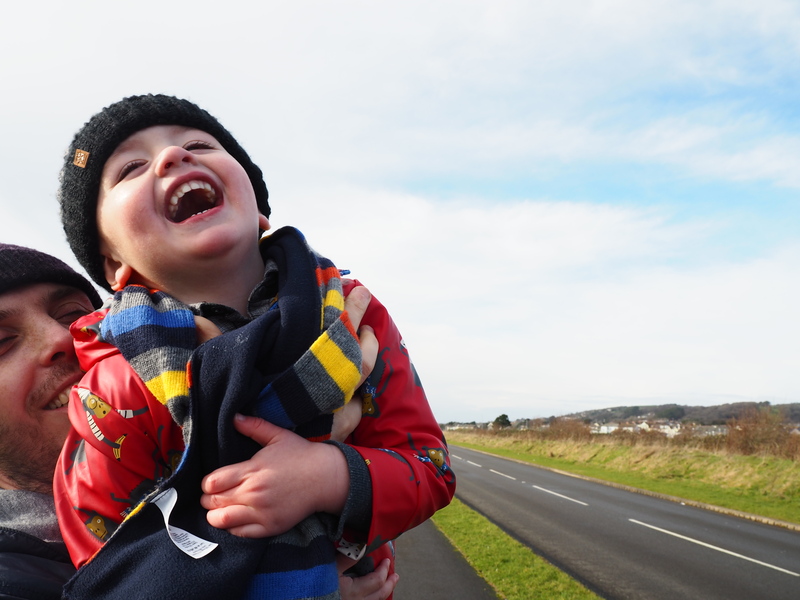 We agonised over the pros and cons of accepting it, and decided that the best option would be for Stew to take three months off work so our littlest wouldn’t have to start nursery until he turned nine months old. It’s still two months younger than his big brother was, but was a much better option than sending him at six months. It’s funny because even though I’ve already been back in work for three months, I’m still sad that Stew’s leave is ending. I look at life as blocks – being pregnant was a nine month block, my six months off was another (although a smaller block than originally planned), Stew’s leave was the next stage, and now we’re into a longer section of full time work, childcare and juggling the two. It’s going to be tough. This change is going to be a bigger transition for Stew than for me as I’ve settled into life at work and feel like I’ve been there a lot longer than three months (in a good way!). But when I think about how much of a change it’ll be for our baby bear I get a bit emotional – although Stew is chopping onions, so the misty eyes could be down that. One of us has been at home with him for his whole life, and all of a sudden he’ll only see us after work and at weekends – it’s a lot to get my head around. Add to that the thought of fitting in all the other things that have to be done – cooking, cleaning, bath time, bed – and it seems like such a short space of time to do the things we enjoy. Don’t even get me started on the elusive “me time” … there’s no chance of that unless I give up sleep entirely. Our littlest still isn’t sleeping through at nine months old. The first time around I was really worried about it, and googled all possible reasons why S woke several times at night. With baby number two I’ve come to accept that we just don’t make good sleepers, and no bedtime routine is going to help. That realisation still doesn’t make the prospect of neither of us getting any sleep and having to function at work the next day any easier. For the first six months I got up during the night, and for the last three months it’s been mostly Stew’s responsibility, although he does a pretty good job at sleeping through and I do my fair share. From now on we’ll have to have some sort of rota system of who gets up during the night and who does the early starts with little E.
I just asked Stew how he feels about going back to work, and it’s ended up as a discussion about whether we’re doing the right thing both of us working full time. I already feel like I’ve missed out on an important part of E’s life by being back in work, but at least Stew has been at home to see all the little changes. He’s watched him learn to crawl, got him into a daytime routine of sorts, and taught him to clap and growl (and we all know how important it is for a baby to growl). And of course he’s had quality time at home with our toddler, who had been in nursery three days a week since he was nearly one. We now have to accept that it’s our parents and nursery staff who are more likely to see our baby boy’s first steps and hear his first words, while we pretend all his developmental leaps actually happen at the weekend. Work seems like the easier option when you’re at home. But it’s only when you’re back in work that you realise how much you’re missing out on by not being at home. 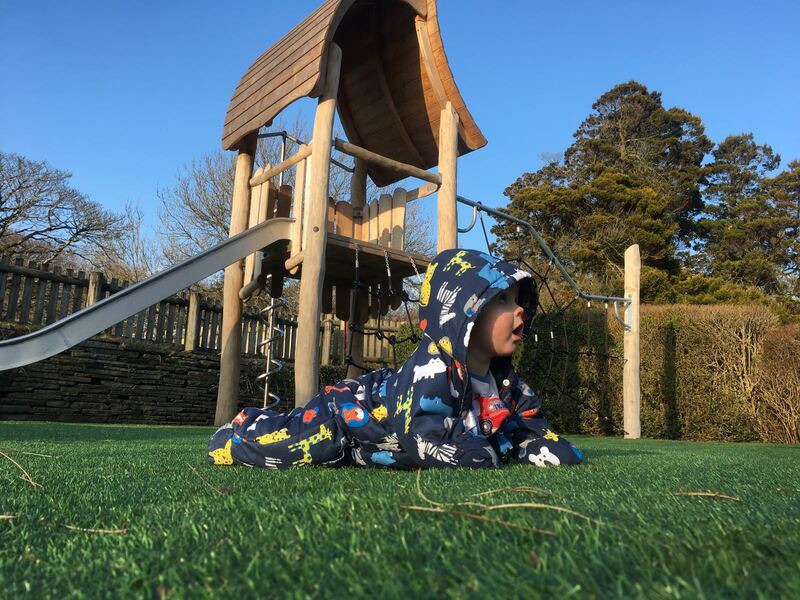 I thought Stew would be raring to go back, to leave the toddler tantrums and the nap-avoiding baby, but surprisingly he has admitted that as hard as it is being the stay-at-home parent he would like his shared parental leave to last longer. He’ll miss the option of going to the park in the middle of the day, watching a film on a rainy afternoon, or feeding the ducks – the little things about being at home. While I was on maternity leave little things seemed really stressful. Like if we weren’t dressed by 10am and had to get ready to meet friends in an hour but the baby was asleep. Or I hadn’t eaten and it was the middle of the afternoon. Or trying to get a baby and toddler out of the car and into the house in the pouring rain. At the time those were difficult to deal with, and I know they would be if I went through it again now. But when you’re sitting in work with five hours to go and get a text from your husband saying they should have left for soft play but there was a leaky nappy to deal with, it doesn’t seem so bad. Putting my emotions aside for a minute, I definitely think accepting my job and ending my maternity leave early was the right decision. I come home from work happy, I enjoy my time there, and the thought of having to go back to my old shifts and crazy long hours would be really difficult. Plus it’s been an amazing experience for Stew. Yes, he’s had to do nursery runs with no car, often pushing the pram and carrying a toddler on his shoulders, he’s left countless cold cups of tea laying around as he’s been too distracted to drink them, and gone hours without adult interaction. But he’s developed a stronger bond with E than if he’d been in work this whole time, he’s had precious time with the boys that he won’t get again, and admits he’s managed to catch up with the Walking Dead during nap times without having to stay up late. One negative has been the financial impact of Stew being at home as he hadn’t quite been in his job for long enough to qualify for maternity pay. We’d planned for me to have a couple of months unpaid at the end of my leave, but if we’d been struggling I could always have gone back slightly earlier than planned. Because of the unexpected change in circumstances we were down to one pay cheque slightly ahead of our plan. We’d already signed for our new kitchen, which we possibly would have delayed, and have had to chip into our savings. But it’s worth it. If we’d both been working we would have paid three months of extra nursery costs anyway, and Stew hasn’t been extravagant with day trips and lunch out (one of my luxuries once or twice a week while I was off). To anyone considering shared parental leave I would advise checking out that you’re both eligible way in advance so you can plan your finances if one of you could end up unpaid. Back to my point of having a lot of things to get done – I honestly have no idea how we’re going to keep on top of everything and work full time. I know other people do it, so it must be achievable, but surely something has to slip. I don’t want our weekends to be taken up by the things we have to do rather than what we’d like to do. Stew is pretty good at preparing food, and is getting into the Joe Wicks’ frame of mind of “prepping like a boss”, so hopefully meal times will be easier. I’m going to attempt the whole getting outfits sorted for the week on a Sunday night plan, which will probably last a fortnight, and I’m seriously considering paying a cleaning lady to sort the house out. Wish us luck as we head into the next chapter. There’ll be a heck of a lot less free time and a heck of a lot more winging it from our family over the next few months. Bring on our holiday in six weeks’ time!